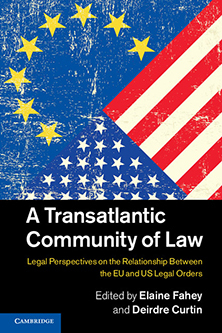 Dr Elaine Fahey, Senior Lecturer in the City Law School, has co-edited a new book titled ‘A Transatlantic Community of Law’, which brings together legal perspectives on the relationship between the EU and US legal orders. 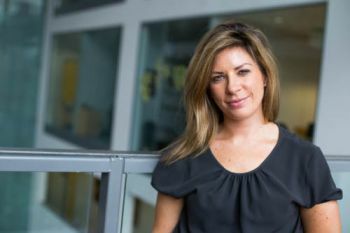 Dr Elaine Fahey, Senior Lecturer in EU Law at the City Law School (CLS), has recently co-edited 'A Transatlantic Community of Law: Legal Perspectives on the Relationship Between the EU and US Legal Orders' (with Deirdre Curtin). The multidisciplinary edited volume, published by Cambridge University Press in July 2014, featuring judicial, political, legal, socio-legal and international relations theorists, has been written against the backdrop of a scholarly perspective which holds that law has had little of a role to play in defining transatlantic relations. On closer inspection, recent developments suggest otherwise, such as the National Security Agency/Snowdon affair, where legal rules, legal processes and institutions have taken on a new relevance. The analysis is not confined to security. In her recent opinion piece in Matrix Chambers' Eutopialaw, Dr Fahey critiques the EU-US rule-making processes in the Transatlantic Trade and Investment Partnership (TTIP) negotiations, as unwieldy, incoherent and lacking credibility as to transparency. 'A Transatlantic Community of Law' also provokes the reader to reflect transatlantic security cooperation a decade after 9/11. It casts its gaze on questions around the legitimate limits to mutual recognition between legal orders. Dr. Fahey joined City Law School in 2014 and was previously a Senior Postdoctoral Researcher at Amsterdam Centre for European Law & Governance at the University of Amsterdam, a Max Weber fellow, European University Institute, Florence, Italy and an Assistant Lecturer and Lecturer at Dublin Institute of Technology and Trinity College Dublin. She has been a stagiaire at the Court of Justice of the European Union in Luxembourg, a Judicial Research Assistant, Four Courts, Dublin and a Judicial Extern, Los Angeles District Court. She has practised as a Barrister and was Chairperson of the Irish Society for European Law. She has been a visiting fellow at the University of Michigan, Ann Arbor, the College of Europe, Bruges, the Institute for Advanced Legal Studies and the Global Governance Programme, Robert Schuman Centre, EUI, Florence. To purchase a 'A Transatlantic Community of Law', please visit this weblink.